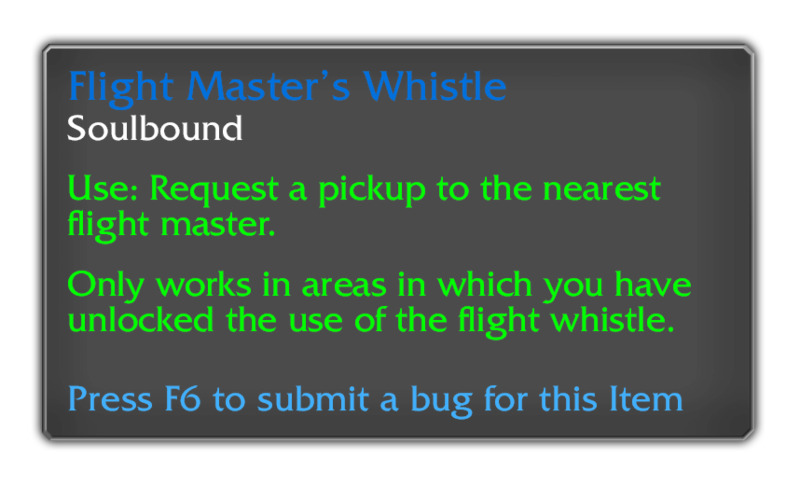 We’ve got an update incoming to the In-Game Bug Reporter for our Public Test Realm (PTR). We’re excited about this, because it should make it even easier for testers to get the right information to us as quickly as possible. Starting with the Rise of Azshara PTR, you’ll see a new context-sensitive hotkey for submitting bug reports. When you mouse over any Creature, NPC, Item, Achievement, or Spell in the game, there’s now some blue text at the bottom of the tooltip that reads “Press F6 to submit a bug for this Item”. Simply hit that hotkey while mousing over the item or creature or spell you’d like to report, and you’ll see a text box pop up with the model of the creature or icon corresponding to the relevant spell or item. From there just type a short description of the misbehavior you observed, and your bug report will be sent to our Quality Assurance team for review. The default hotkey for bug reporting is F6, but this can be re-bound to any other key by pressing escape to bring up the game menu, and then selecting Key Bindings. 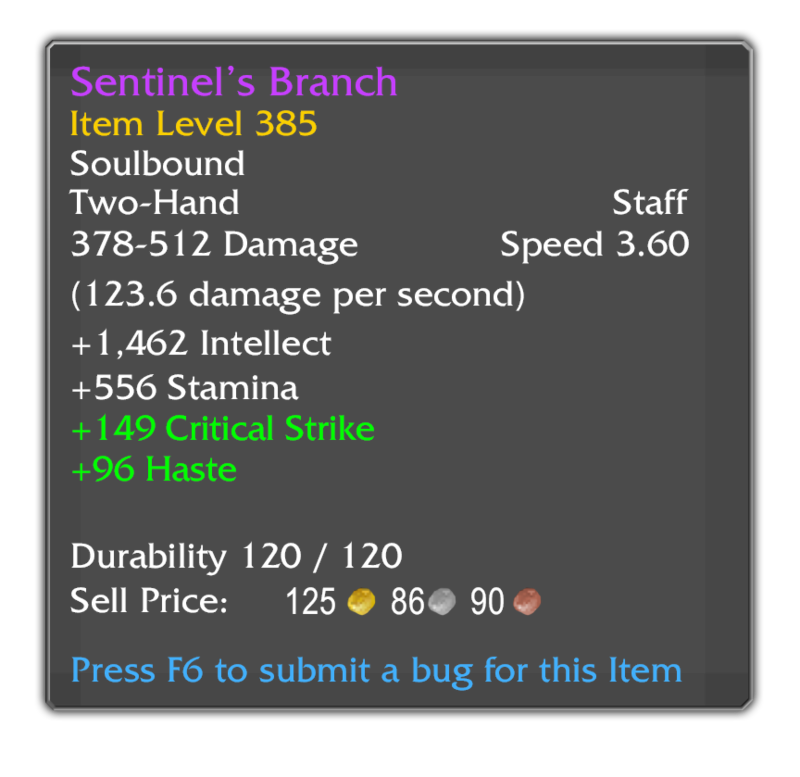 Find the PTR sub-section of the Key Bindings menu and set the hotkey for the Tooltip Bug Hotkey to any key you like. 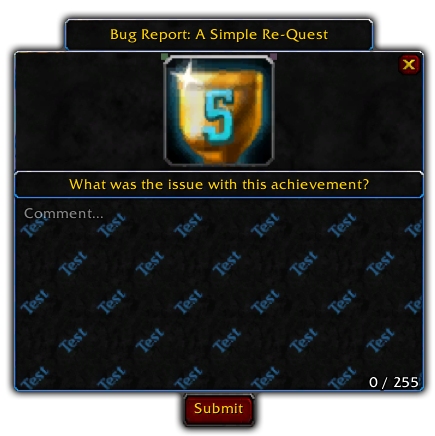 Thanks to all testers who’ve used the In-Game Bug Reporter in previous PTRs. With your help, we’ve been able to review tens of thousands of bug reports. With these upcoming improvements to the system, we hope to be able to process and review even more issues that you send our way. We’ll see you in the PTR. How do you report something that the game doesn’t recognize as an object? Like misplaced textures or missing objects. There will still be an on-screen bug button that you can use to submit anything you’d like to, from any disposition.